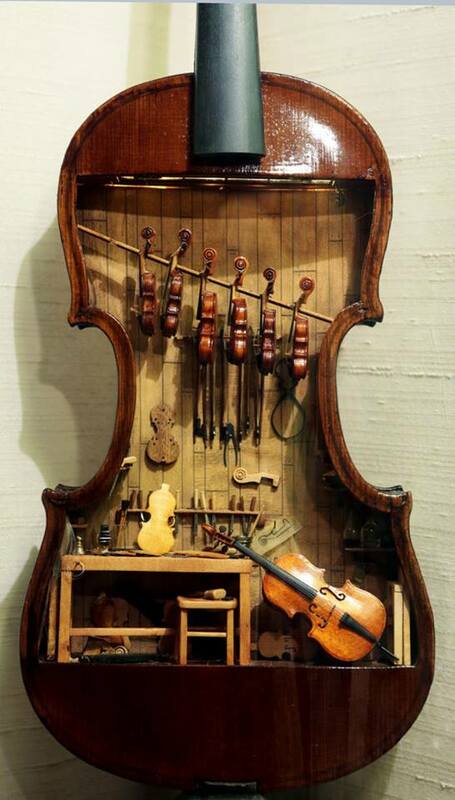 The Arizona Daily Star reports: This 18th-century violin makers shop by W. Foster Tracy, 1979, is a miniature built inside a full-size violin. It was on display at the Mini Time Machine Museum of Miniatures, 4455 East Camp Lowell Drive, on June 4 in Tucson, Arizona. All completed instruments and tools are fully functional in this model. This entry was posted in About Brendan Ball and tagged 18th, 1979, c, century, eighteenth, foster, makers, miniature, shop, tracey, violin, w, workshop. Bookmark the permalink.